Catholic News World : Wow Rosary Prayed Coast to Coast in Australia in Over 250 Locations - "Oz Rosary"
Wow Rosary Prayed Coast to Coast in Australia in Over 250 Locations - "Oz Rosary"
The Rosary was prayed from coast to coast In Australia when the faithful turned out on the Feast of Our Lady of Fatima—13 May—to pray the Rosary for their country. 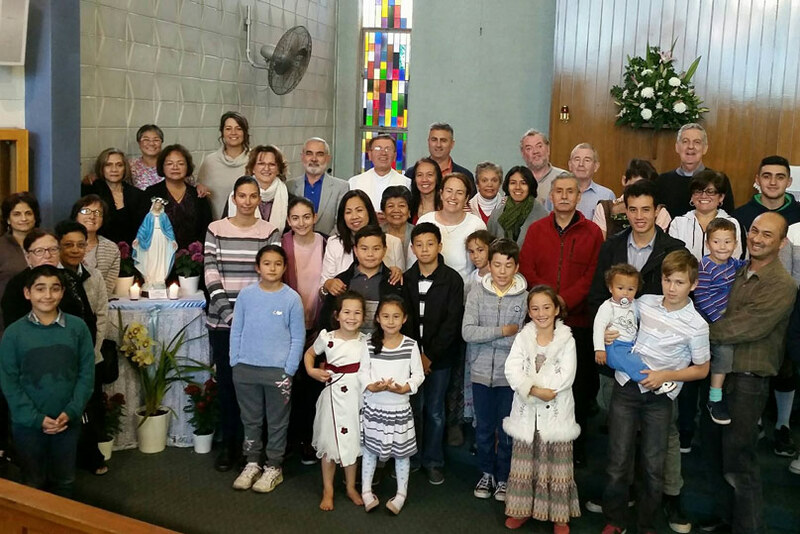 At over 250 locations around Australia, groups came together to pray to Our Lady as part of the ‘Oz Rosary’—the Australian version of the ‘Coast to Coast Rosary’, that has already taken place in different countries around the world including Poland and England. Bishop Terry Brady joined a group praying the Rosary on the Sydney Harbour Bridge. He also consecrated Australia to the Blessed Virgin Mary. Brave Catholics prayed the Rosary on the Sydney Harbour Bridge at 7am, despite the cold and blustery weather. Groups prayed on the beach at Coogee and under blue skies in Jinderra and Yoogali. A statue of Our Lady of Fatima was the focal point of those praying the Rosary at Ledge Point in WA. Further north, groups came together in the warmth of Brisbane, Wynnam Beach, Cairns and Darwin. While over in the west Rosaries were prayed at Ledge Point and York in WA. “It was wonderful and everyone who reported back said they had really good numbers turn out,” said event organiser, Jane Chifley. Being Mother’s Day it was the ideal day to pray to Our Lady, she added.